The IWGSC, with 1,800 members in 62 countries, is an international, collaborative consortium, established in 2005 by a group of wheat growers, plant scientists, and public and private breeders. The vision of the IWGSC is a high quality genome sequence of bread wheat that serves as a foundation for the accelerated development of improved varieties and that empowers all aspects of basic and applied wheat science. Bread wheat is the most extensively cultivated wheat crop, being grown on over 95% of the wheat growing areas of the world. Its sequence holds the key to genetic improvements that will allow growers to meet the increasing demands for high quality food and feed produced in an environmentally sensitive, sustainable, and profitable manner. The IWGSC uses a milestone-based, adaptable strategy that ensures the immediate availability of significant outputs for wheat breeders and the wheat industry at large in parallel to continued advancements in basic research on the wheat genome. (4) produce a gold standard genome sequence by integrating chromosome based genomic resources with the IWGSC whole genome assembly. The first milestone was reached on July 2014 with the publication of the chromosome-based draft genome sequence in the journal Science. The physical maps for all chromosomes (milestone 2) were completed by the end of 2015. At the end of January 2016, a whole genome shotgun assembly had generated a reference sequence for each chromosome (IWGSC WGA v0.4 - milestone 3); this was made available pre-publication in June 2016. Work is now focused on delivering an annotated, high quality reference sequence improved by integrating chromosome-based map and sequence resources with the whole genome assembly (IWGSC RefSeq v 1.0) made available pre-publication in January 2017. This sequence will be further improved to deliver milestone 4 by the end of 2018. Eversole Associates has managed the IWGSC since 2005 with Kellye Eversole serving as the Executive Director. Team members currently under contract with the IWGSC include Eversole, Rogers, Caugant, and Leach. 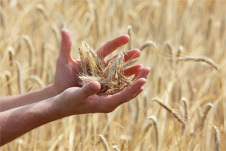 Click here to read about the wheat genome sequence odyssey. Drawing on an international range of expertise, these two reference books focus on ways of improving the cultivation of wheat at each step in the value chain, from breeding to post-harvest storage. Volume 1 reviews research in wheat breeding and quality traits as well as diseases and pests and their management. Volume 2 discusses ways of improving cultivation from variety selection to post-harvest storage. Kellye Eversole and the IWGSC Leadership team contributed to a chapter in Volume 1 on Sequencing and assembly of the wheat genome. More details about the books and ways of purchasing are available here.